Unless you have worked in a hotel, traveling and reserving rooms can be a mysterious process full of pitfalls and challenge. Learn to seize the opportunity to get a better stay. I've been working as a front desk agent in a mid-level, independent hotel for about a year now. Over this time, I've dealt with many customers and their inquiries, annoying and reasonable, and watched my patience become sapped only to return with the rare positive experiences. I am here today to share some advice on how to negotiate for a cheaper (or better) hotel room, from planning ahead to making the call, and even to arriving at a property and checking in. The first key is to have enough time. 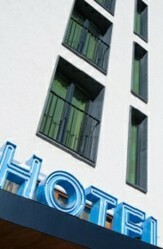 Many hotels increase their rates based on tiers of occupancy. Weekends are more full, and so they have higher rates, as do holidays. Booking a month in advance means you get in before the hotel has a reasonable picture of their occupancy for that night. I'd rather have a guaranteed head in a bed for $10 lower than normal than have an empty room making no money. This doesn't involve a lot, but you do need to know what's going on. As I said, events and holidays raise rates. Find the events in a town, look up rates at other hotels online (through their individual sites - not third parties*), and be prepared for what you might hear. I'm more likely to listen if you seem to be aware. * Third party sites include Expedia, Travelocity, and Priceline. Hotels do not compete with their rates (as a rule), but you can trust that the experience you get through booking directly through a hotel is a lot better than one through a third party. As employees who answer phones all day, we have a certain level of rambling spiel. Many of us are provided training that suggests a standard phone greeting that includes five points: Thank you + the brand name + the property name + the agent's name + an offer to help. This translates to about 8-10 seconds of talking that I must do just to figure out how I can help you. Beyond that, quoting a rate takes a lot of information. We'll need to know the dates of your stay, the type of room you're wanting and the amount of people you'll have with you. We're salespeople, which means we'll also probably want to know what's bringing you into town and how we can best assist you. We're salespeople and our goal is to get you to book a room, but we're also rated on our customer service abilities and your experiences matter to us and our jobs. Be honest and patient when talking with us, because we could be breaking fire code by booking three adults into certain rooms or we could be able to suggest a room particularly close to the breakfast quarters (or away from the elevator) to accommodate you. Nobody likes to be ignored. Remember the introduction? That's not the only spiel I have. Once I've identified the rate I am going to quote you, I have to sell you the room first (we sell our products, not our prices). I'm going to tell you about our delicious, highly-rated deluxe continental breakfast (which I will further explain, since people don't know what that actually includes), our fitness room, our outdoor, heated pool and hot tub (still open a week before Christmas! ), our beautiful courtyard and gazebo (complete with gas fire pit), and our complimentary wireless internet. Then I will give you our rate. Part of working in a place for a while is believing in your company. I believe our rates are fair most of the time, and I trust customers to consider that rate - my livelihood - before they begin debating. The most important part of negotiating a lower rate is asking. Only the newest and least caring of customer service trainees will quote you a low rate straight off the bat. Rather, you will likely be hearing about the "BAR" or Best Available Rate: the standard, non-discounted rate - the highest you might pay for the room you requested. Be prepared with reasons you might get a discount. That could include status as a military/service member, a government worker, a AAA or AARP member (or senior citizen), or even as a rewards member for certain properties. Asking might be the end of your conversation. You might get a desk agent who will quote you a lower rate immediately, or else be speaking with somebody without the authority to discount your rate (without dire consequences, at times). Money may not be the root of all evil, but it is the root of a lot of entitlement and rudeness. I do not discount your rate by a dollar every time you swear at me, criticize my property, or discuss going to our competitors. If you begin your negotiation by threatening to walk the plank, I would just as soon tell you to go right ahead (after all, I don't just have to deal with you in the sales process - I also have to host you as a guest later). I do, however, participate in civil and reasonable discussions and offers. If you've seen a reasonably lower rate on a third party site or through one of our close competitors, I will try to meet that - I do prefer you do business with us than with them. I will not go beyond the bounds of my manager's rules, however. I have limited power. I have been fortunate enough to be handed trust by my managers and I do get to negotiate rates without approval. That does not mean I do not have to answer for my decisions. Your own bank account matters less to me than my own. If you are unable to afford a hotel room, then perhaps you should consider putting off traveling and other luxuries until you are better able to pay for them. I will not be risking my job to accommodate your budget. You may not be able to get a discounted rate on your hotel room, but if not, ask about upgrades. Could you get a better room, such as a suite, for the same rate as the standard room (or at least a discount somewhere in the middle)? I would be more than happy to accommodate somebody who has shown a clear interest in staying with our property. When you've arrived at the hotel and are checking in, talk with the front desk agent. Ask how his or her day is, share what brought you into town, and ask if there are any specials or promotions at the property or if any events are going on that weekend. If you're polite, you should be able to ask for some kind of perk (or have it offered to you directly!). Yes, you are using flattery to your advantage. No, we don't mind. We much prefer it over the normal experience, which seems to either be uncomfortable silence or degrading demands. Further, we're much more likely to make special arrangements for you when you've already shown up and it's clear we will be receiving your business. I am afraid of flying - hate it, actually. Here are unconventional help tips on how to deal with fear of flying on an airplane from an honest, straightforward point of view...MINE! A backpacker's guide to choosing travel toiletries which are lightweight, convenient and eco-friendly.